The Office of Undergraduate Research at the University of Houston celebrated a record-breaking year in 2017-18, with six UH students receiving Fulbright awards for research and teaching, the most awarded in a given year in the school’s history and more than the previous five years combined. 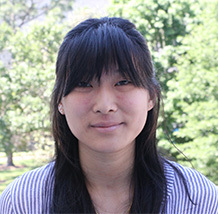 Sofia Ahmed, who graduated in May 2018 with a bachelor’s in English literature and a minor in Chinese studies, received the Fulbright English Teaching Assistant Grant to Taiwan. She is interested in linguistics and language geography. While attending UH, Ahmed worked at the UH Writing Center. In 2017, Ahmed received a Critical Language Scholarship to study in Beijing. 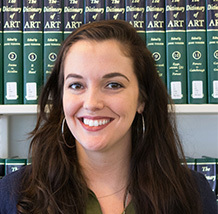 Carolann Madden holds a master’s in English and Irish studies from Boston College, a master’s in poetry from San Diego State University, and is a doctoral candidate in literature and creative writing at the University of Houston, where her primary areas of research revolve around poetry and folklore. During her Fulbright to the National University of Ireland Galway (NUIG), she will undertake archival research on folklore and folklore collectors in the West of Ireland in NUIG’s James Hardiman Library. She is particularly interested in the roles of women and ‘outsiders’ in early folklore collecting in Ireland, as well as the ways in which folklorists and ethnographers have attempted to reach across various social divides in, and through, the process of conducting fieldwork. At present, her research is directed toward how and why creative writers, from Lady Gregory to Tim Robinson, acquire and utilize Irish folklore in their creative work, and to what effect. 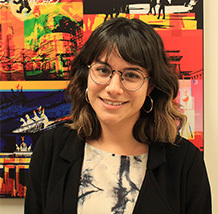 Bianca Salinas graduated in May 2018 with a bachelor’s in French and minors in German and linguistics. 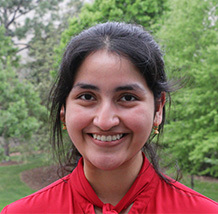 Salinas has dedicated her academic and professional life to studying language and promoting cultural diversity. As an undergraduate, Salinas worked as a tutor in the department of Modern and Classical Languages, as a volunteer translator for the non-profit Plant-It-Forward, and as a translator/interpreter between the Rothko Chapel and the Burundian human rights activist, Pierre Claver Mbonimpa. Salinas has studied abroad at the University of Paris (La Sorbonne) and volunteered for French refugee organizations Singa and Emmaüs France. 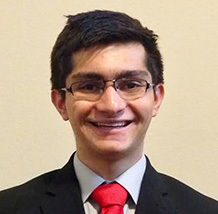 Khalid Sheikh, who graduated in May 2018 with a bachelor’s in biology and minors in history and Medicine & Society, received a Fulbright English Teaching Assistant Grant to Latvia. He developed a passion for teaching and combatting education inequality while serving in the UH Bonner Leaders Program, through which he co-founded Lobo Prep and Improving Performance on the ACT (ImpACT), two mentoring programs for low-income high school students. 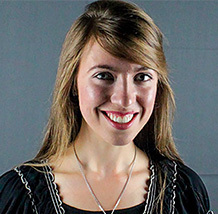 Madeline Styskal, who just graduated with degrees in music composition and Russian studies, is the recipient of a Fulbright assignment to Russia as an English Teaching Assistant for the 2018-19 academic year. Styskal’s goals for this immersion experience extend beyond language proficiency to include her studies in music. In Moscow, Styskal will have access to the Prokofiev Museum and the opportunity to take lessons to refine her performance in accordance with the Russian school of piano technique. While a student at UH, Styskal was also a member of the Honors College, a National Merit Scholar, and a member of the Houston Scholars program. In 2017 she received a Critical Language Scholarship to Nizhny Novgorod, Russia. Since the Fulbright Program’s establishment in 1946 under legislation introduced by U.S. Senator J. William Fulbright of Arkansas, the Program has given more than 380,000 students, scholars, teachers, artists, and scientists the opportunity to study, teach and conduct research, exchange ideas, and contribute to finding solutions to shared international concerns. Fulbrighters address critical global challenges—from sustainable energy and climate change to public health and food security—in all areas, while building relationships, knowledge, and leadership in support of the long-term interests of the United States and the world. Fulbright alumni have become heads of state, judges, ambassadors, cabinet ministers, CEOs, and university presidents, as well as leading journalists, artists, scientists, and teachers. They include 59 Nobel Laureates, 82 Pulitzer Prize winners, 71 MacArthur Fellows, 16 Presidential Medal of Freedom recipients, and thousands of leaders across the private, public, and non-profit sectors. The Fulbright U.S. Student Program awards funding for one academic year of self-designed study, research, creative projects, or teaching English in over 140 countries around the world. For more information please visit the Fulbright U.S. Student Program website or email Ben Rayder at btrayder@Central.UH.EDU.